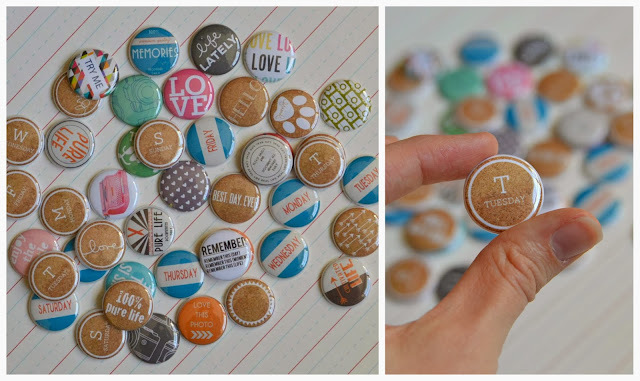 I wanted to let you guys know about a really great new Etsy shop that produces some amazing flair buttons, perfect for your Project Life or scrapbook layouts. 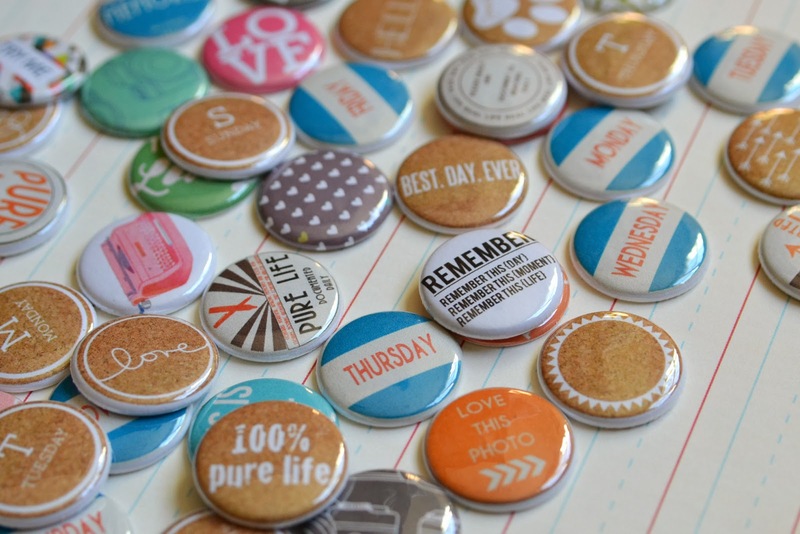 The Flair Shop on Etsy has a variety of great flair, and the prices are really reasonable too. What is even cooler is that shop owner Caitlin even uses a bunch of my own designs. I received a package full of flair from her and I have to say, I got just a bit excited seeing how great these look! When I designed my digital cork elements, for example, I never even thought about them being made into flair, but how amazing do these look? And they are so nice and glossy. I definitely placed a big order for more flair as soon as I had received these. Just had to pass this little shop along to you guys, because I know I'm not the only one who loves to add a little flair to my Project Life! Visit The Flair Shop and grab some goodies!